Apple has launch the latest version of iOS 5.1 for iPhone 4S, iPhone 4 (GSM or CDMA), iPhone 3GS, iPad 2 (Wi-Fi, GSM or CDMA), iPad and iPod Touch (4th or 3rd Gen.) devices, now Apple users can download and install iOS version 5.1 directly into their iOS devices without any further delay. We hope that the new iOS 5.1 will support long battery life and has no further battery issues like previous iOS release had. 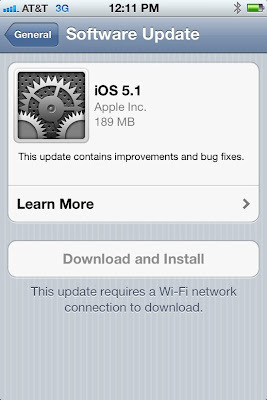 According to Apple they have updated all possible issues and have error free user interface and functionality in iOS 5.1. 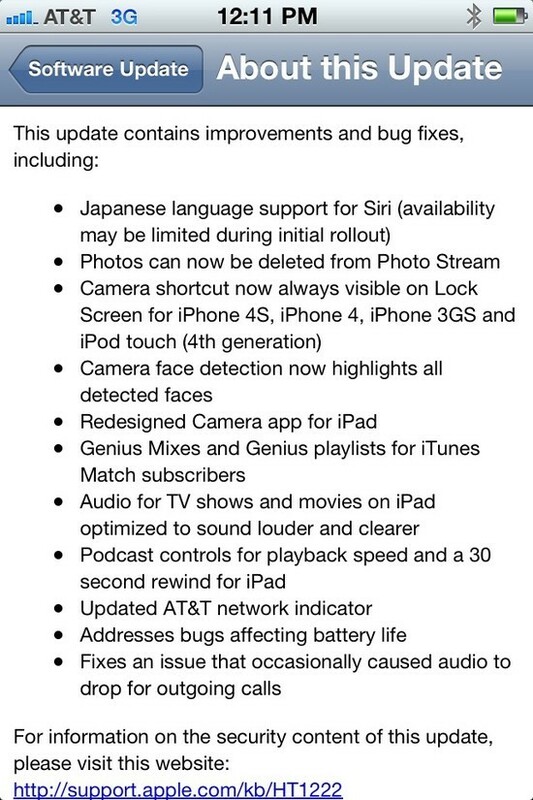 The major change in iOS 5.1 is that now Japanese users will also have the opportunity to make Siri their virtual butler and other new changes are new "slide for camera" feature and other minor and big bug fixes. According to official Apple statement the company has brings the following new features and changes. Apple users can download iOS 5.1 setups files from the following official mirrors. Apple users can also download and install iOS 5.1 from their devices via Over-the-Air. The over-the-air update weighs in at roughly 189 MB. Follow the following simple steps to update iOS 5.1 without plugging your iOS device with any cable. Your iPhone will automatically restart and apply the firmware. This takes around ten minutes. Your iPhone will reboot and appear to be applying again, this will take around five minutes. The update is complete! Easy! If you are facing any problem while updating and installing iOS 5.1, you can read the instruction and details from the Apple KB article here.